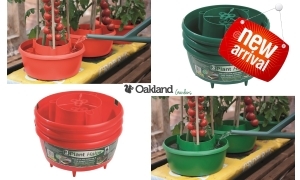 These plant pots are flexible yet tough, designed to be long lasting and can be re-used. They come in 11 sizes from 1 Litre up to 20 Litre. Resilient to changing weather conditions and has a 2 tier drainage system so the pots can stand in low water yet still maintain airflow underneath. 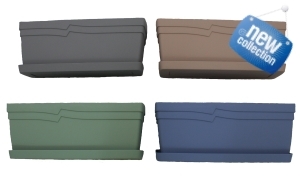 They are suitable for a variety of uses and have been constructed from a strong and durable plastic for longer use. Formed by method of Injection Moulding. We do have a range of black plastic saucers which go great with these pots. For large quantities please contact me for a better price quote. Compare Oakland Gardens with others, we will not be beaten on quality or service! 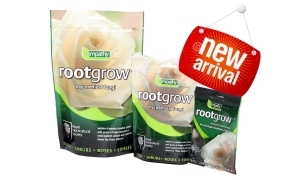 Our gardening supplies and garden tools are perfect for indoor and outdoor gardening, we sell lots of garden accessories in our online store as well as plant pots and flower pots for all your container gardening.